When you accept Jesus into your life and are born again, you inwardly become a new creation (John 3:3; Rom. 10:9; 2 Cor. 5:17). The Holy Spirit now lives inside of you, in your spirit (Rom. 8:11; 1 Cor. 6:19). Once this takes place, the Bible instructs you to be baptized in water (Acts 8:36-38). Water baptism is an outward action to express the change that has taken place on the inside of you once you are born again. When you go down into the water, you are signifying that your old life is dead. You are no longer who you used to be. 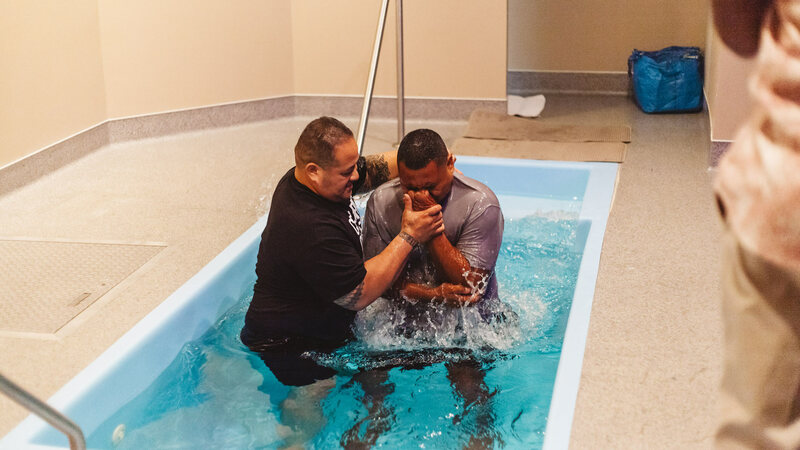 When you come up out of the water, you are signifying that you have new life in Christ. You have been raised with Christ and the rest of your life is devoted to following Him.